I have a weakness for making sure everything I carry on my person is packed appropriately. Most recently I purchased two items that have brought me great joy and I would highly recommend. The first is an iPad Mini case from Mujjo. I bought the Smart Cover immediately when I bought the iPad Mini. For me, it is kind of a necessity. However unlike its bigger brother, there is no Smart Case for the Mini, just the cover. So what was I going to do about protecting the back of my precious tablet computer whenever it wasn’t safely in my hands? I knew I wanted a simple, elegant but protective sleeve that I could slip around my iPad while it was in transit. It had to be big enough to fit the iPad with the Smart Cover attached and it had to be affordable for me because let’s face it if I could afford a Smythson case I would get it. So my budget was about £40, stretching to £50 if it was a case I really fell in love with that also blew my mind. I searched etsy, and while there were a few cases I liked a lot – the price for getting something that was handmade was beyond my upper budget. However on etsy I did see the trend for cases made of felt and leather. This is a combination that really appeals to me. It’s somewhat organic. When the two materials are brought together they are wonderfully complimentary. I found my star case with Mujjo. They are more commonly known for their touchscreen gloves but have expanded with a line of electronics cases called The originals. 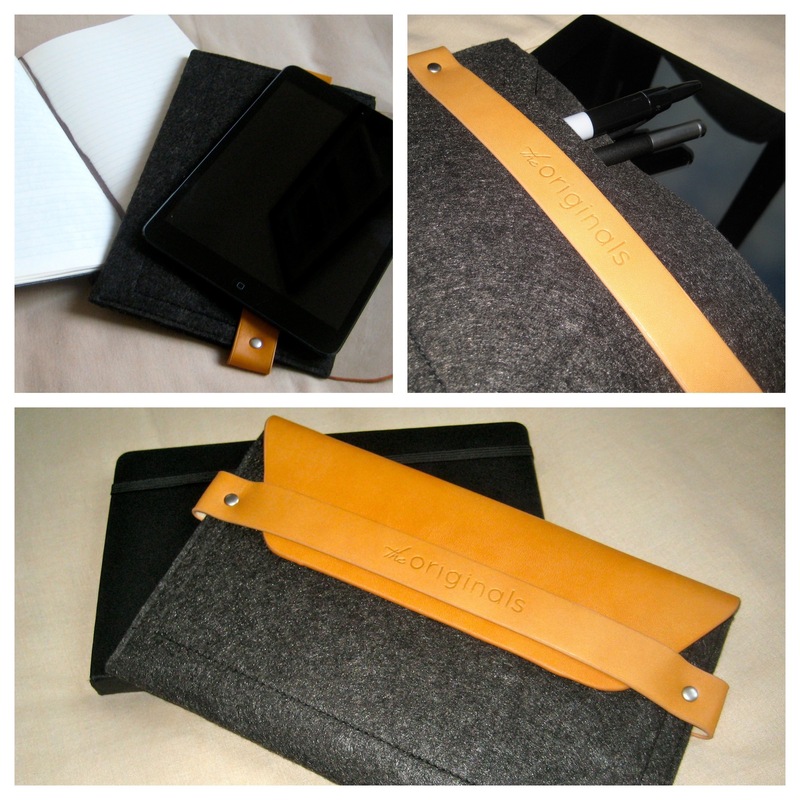 The line uses felt and leather to great effect and I knew the iPad Mini case was the one I was after. It was wonderfully designed and was completely below my budget. When I tried to order a case I was faced with the problem that there was no iPad Mini cases to be found in stock anywhere on the internet unless I wanted to pay huge shipping fees. This was a hindrance but it informed me that these cases were popular, I was onto a good thing. So I waited, and I couldn’t be more happy with the result. When wrapped in the Mujjo case, I completely happy to toss my iPad Mini into my bag. I am also completely happy to carry the case alone. With a second pocket big enough to store some earbuds and a couple of pens within the case too, I’d happily be spotted on the street. It’s so chic I’m sure some style blogger would have to snap me simply because of my great iPad Mini cover. I lug my lunch into work every day on the tube. My over the shoulder bag is attractive but does not fit a lunch box, water bottle, diary, notebook, iPad, kindle and so on. I needed a backpack that was well made and fit with my personal style. 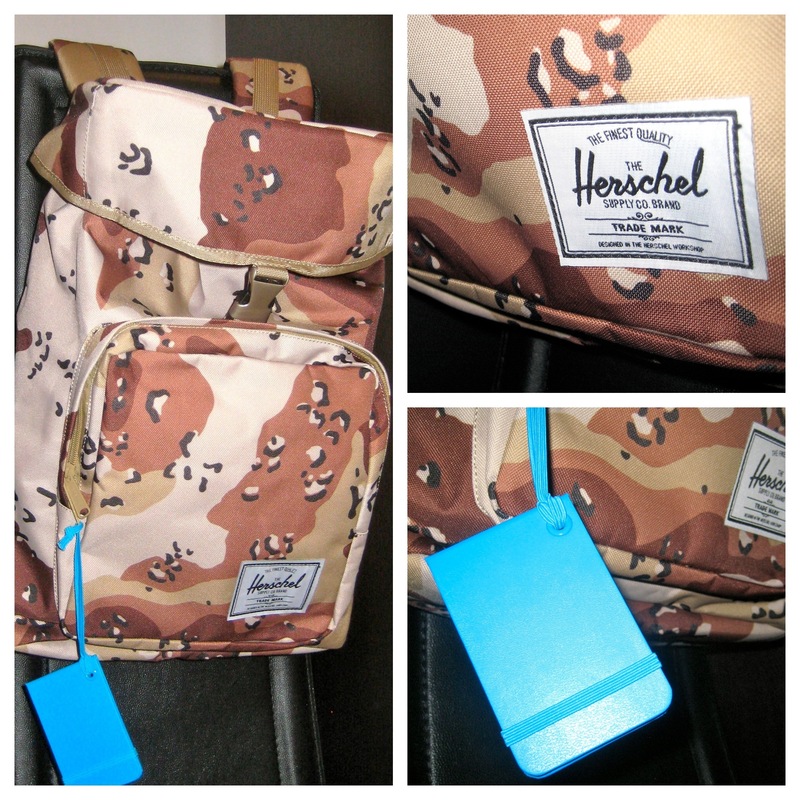 The day my Herschel bag arrived was a happy one. The print is modern, different and fun. I really feel confident with this on my back every day and it is a comfortable fit. The Claim style bag in the camp print I’ve got is ridiculously spacious. The pretty red fabric lined inside can be filled to the brim with plenty of stuff. The front pocket is also large and has plenty of organisational components built in to keep all your gear in check. This year I’m going to be doing a lot of travelling and I’m really pleased and comforted by the fact I will have this great bag to carry everything safely. My one little gripe comes from the fact the main pocket has a drawstring enclosure. It’s charming most of the time but sometimes when I want to pull something out of the main pocket really quickly I can’t do it. A zip compartment would be quicker but it’s not such a huge issue. Perhaps I have to take everything in my life a little slower. This entry was posted in Fashion, Geek and tagged Case, Herschel, Herschel Supply Company, iPad, iPad Mini, Mujjo, organisation, travel, well packed by Jonathan Day. Bookmark the permalink.